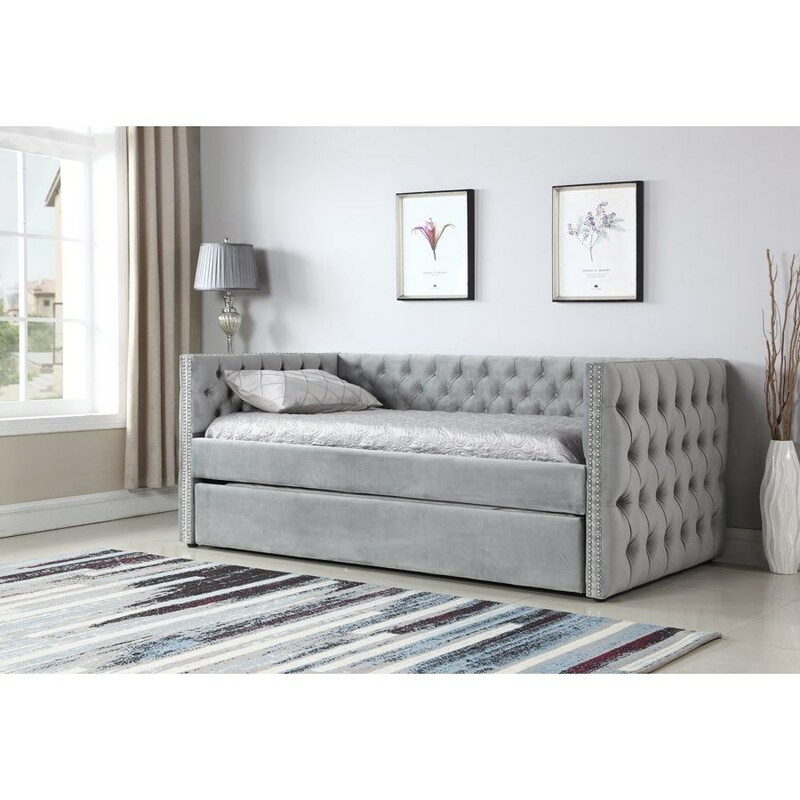 Bring a touch of glamour to your guest bedroom or child's room with this upholstered daybed. Tufting all around the bed gives creates an aura of plush luxury, while the gray fabric keeps the look modern. An included trundle drawer makes the bed perfect for sleepovers and overnight guests. The Paige Tufted Daybed with Trundle by Emerald at Great American Home Store in the Memphis, TN, Southaven, MS area. Product availability may vary. Contact us for the most current availability on this product. Case Construction Solid wood and plywood frame construction.